If You additionally insure the freight, you will receive a payment corresponding to the full value of the goods declared by you. Freight insurance costs conclude a very small part of the value of the goods. We will take care of Your freight security, in the event there is a need to store it temporarily or reload it onto another vehicle. We comply with our obligations and appreciate Your confidence. Operative - we immediately respond to every inquiry. Flexible - upon agreement on the price we offer possibility to agree on deferment of payment. Professional - in all situations, we find compromise solutions. Careful - we control the movement of freight and delivery terms. to ensure safe transportation of Your product. We aim to make logistics solutions that reduce Your costs and create added value for You. We provide professional services of transportation, storage and cargo distribution at flexible prices. In 2015-2017 we were listed as one of the fastest growing companies. 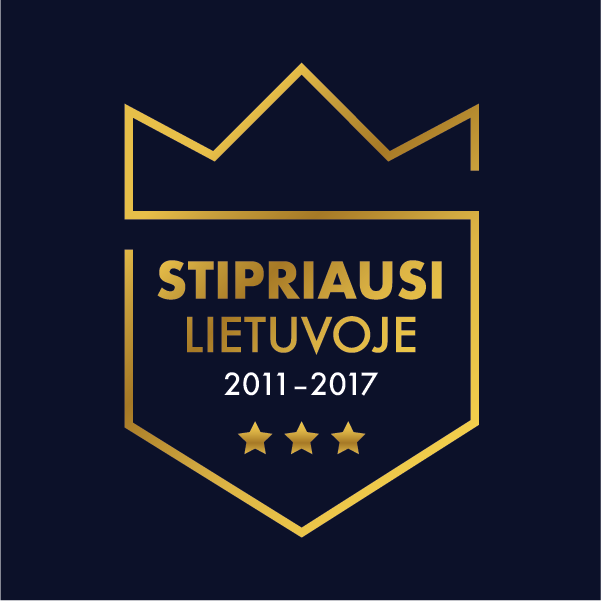 In 2011-2017 we had a high credit rating according to UAB “Creditinfo Lietuva”. Reliable company, seriously minded staff, a pleasure to cooperate! Good organization of transportation and good communication, timely payment. Pleasure to cooperate, everything is accurate and on time. A pleasure to work, everything is concrete and timely. Nice to cooperate, everything is timely and quality.